Masterful Story Teller of Folk Tales. I have always been a big fan of anything to do with Folk Art, in any way. Be it the art, the music , or the stories handed down generation after generation. It’s an exquisite art form and one I am delighted to be aware that is not dying off any time soon,. Thanks to having the modern-day Story teller’s who are essential to keeping the art alive, the customs rich, and the generations to follow in the know. Might I suggest that if you know a story-teller to please take a moment to thank them for what they bring to our community’s. And to our individual lives. Saturday nights might never have been the same. My intent, my point to this post is to honor and pay respect to one great story-teller who is doing his very best to keep the Folk Tales of his homeland alive and well. We, his readers are the great benefactors of Gerry’s folk tales on his warm and welcoming blog; restawyle. Without further adieu; this, my homage to Folk Tales has been inspired by the very tales that Gerry from his blog restawyle researches, writes and then shares by telling us a story. This is intended to celebrate him as a Story Teller. This post is dedicated to Gerry & his fabulous blog. 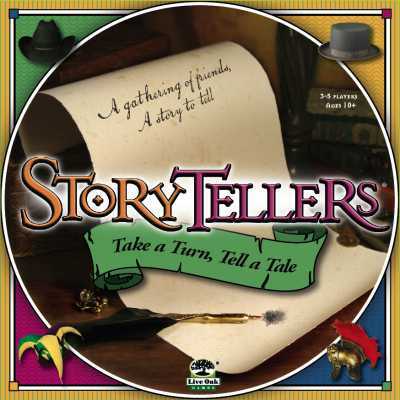 Three Little Pigs, Cinderella, Paul Bunyan, Pea & The Princess..
All are folk tales, stories that are told and passed down by “The folk” of the communities for generations. Folk tales serves as a way to document as chronicles the way of f life for the common man & woman of the time. Common Folk. These tales usually reveal something about history of a certain community, or a certain geographical local. Learning from repeated tales we discover how people lived, what their moral compass was, and what their customs and cultures were like. Learning from this fascinating and entertaining gift we call Folk Tales we discover we are a part of a culture that is world -wide; as demonstrated by the fact that over 500 versions of Cinderella from Yeh Shen to Sootface of the Obibwa. have been viewed. Folk tales are still bridging one culture to another. We as people can be separated by race, geography, and/or socioeconomics; but a folk tale bridges all that with common beliefs & values that allow us to see each other, in one another. And also to accept one another. Through these Folk Tales shared we learn too that all people having similar hopes, as well as similar fears which are consistently reflected in the tales we share. We all want to conquer the wild beast who threatens all our dreams, climb the highest mountains, and maybe even save the damsel in distress if it’s a really good day. It is our human nature to be Common Folk. us marvelous characters and events. All giving a glimpses of the common desires and fears of the community. Folk tales are accepted as “maybe-truths” – which should always contain one-dimensional characters . The ” Very Good “, the ” Really Bad “… and always include magical characters able to do magical things. However the main character is often human and is usually on a mission of heroism. The puzzlement’s answer is usually found through the magic bestowed upon the Good One and The Human. And pray tell they live happily ever after ~. Don’t be shy Gerry has massed several Folk Tales so far. I have it good authority the intent is for him to do more. And if you get a hankering to retell a tale,,, well go ahead, go for it. That is what Folk Telling is all about now… isn’t it? ← The Art of Doing Nothing At All..
Lovely post, my dear friend! It’s both enlightening and exciting. What a smart, interesting post — you’ve been on for weeks now! storytelling is a wondrous art and listening? well, that’s just magical. It is my honor Cobbie, you are truly deserving and the words just presented themselves. It was a doodle. 😉 And it is my complete & absolute pleasure. Right back at you Dearest Friend of the New Forest. The adventures you take me on…so memorable even vicariously.